Please consult the photograph above for details of the product’s packaging, design and retail presentation. Please note: the packaging of the recalled product may differ slightly from the one posted above. According to Health Canada, the product label has incorrect Cannabinoid values, where the percentage of THC and percentage of CBD were reversed on the label. If you believe you have purchased or have in your possession any of the recalled Dried Cannabis, please contact Tweed to obtain a correct product label. If you have any questions about this recall notification, please contact Tweed at 1-833-818-9333 during normal business hours, Eastern Standard Time, Monday to Friday. Please note: the Canada Consumer Product Safety Act prohibits recalled products from being redistributed, sold or even given away in Canada. ==> To see other recalls and notifications caused by suspected contaminated, adulterated or mislabeled Dried Cannabis, please search for “Cannabis” using the Search Box at the top of this page. 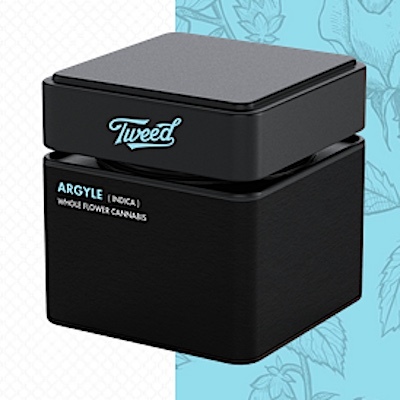 ==> To see other recalls and notifications for products manufactured, marketed and/or sold by Tweed, Inc., please search for “Tweed” using the Search Box at the top of this page.